Excel columns and rows too small? 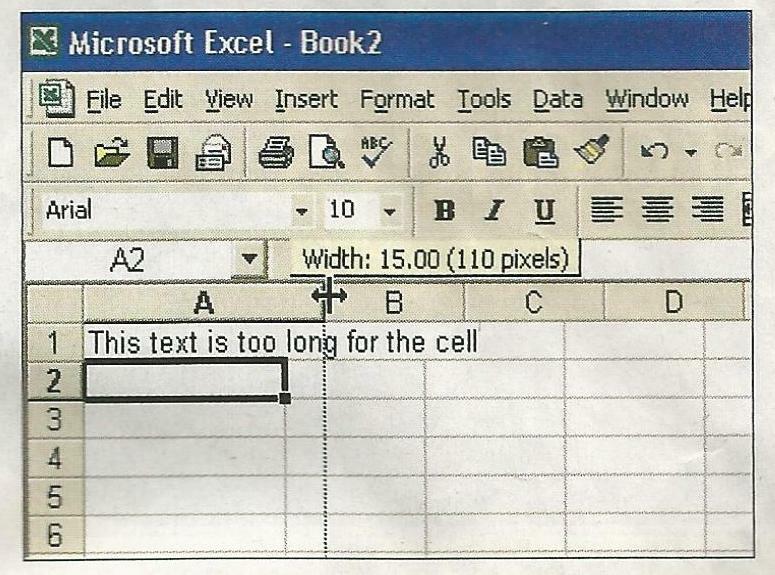 The default cell doesn’t allow much room for typing text, does it? To extend a column’s width, move the mouse pointer over one of the small divider lines that separate the alphabetic headers at the top of the sheet. When the pointer changes to a double-headed arrow (as you can see in the picture above), press the left mouse button and keep it down whilst you drag the column out until it is wide enough. The same procedure applies for adjusting row height (ideal if you want to use a larger font) as you place the mouse between the rows and drag. Bonus Tip – You can automatically size Column A to fit the text inside by simply double-clicking on the border whilst you see the double-headed arrow. 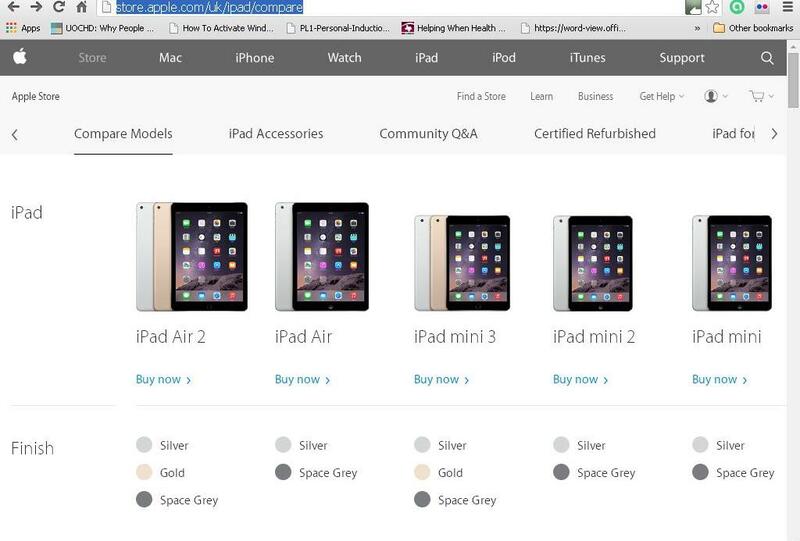 Thinking of buying a new iPad? * iPad memory cannot be (easily) expanded, so be sure the model you buy has enough for the programs and files you’ll want it to store. (You can buy a plug in SD card reader, but this isn’t convenient).